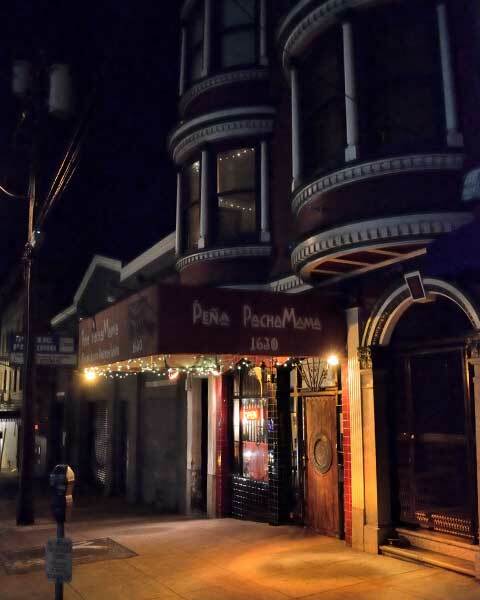 Peña Pachamama is still open after 20 years as a magical, musical world music restaurant in the heart of San Francisco’s tourist-happy North Beach neighborhood. The story follows a path of the heart, a successful transformation of a space which used to be San Francisco’s most historic speakeasy, and then a beloved Italian eatery called Amelio’s. Clark Gable fell in love here with Carole Lombard, some while before Joe DiMaggio enjoyed his wedding dinner with Marilyn Monroe. Now comprising a restaurant, bar, and performance space, the Peña has become what the San Francisco Weekly calls "the friendliest, most inviting night spot in the city"
Peña Pachamama—One of those magical places... a little island of the future where those who enter her doors are forever transformed by the spirit of the music and dance that takes them in. You'll find it on a little side street in San Francisco's old Latin Quarter somewhere between Chinatown, Fisherman's Wharf and endless Italian late-night cafes. Today, the restaurant serves great food once more, including tasty traditional Bolivian tapas like Plantains and Yucca Frita. We also offer healthy and delicious cooked plant-based or live-food organic samplers. For something more substantial, try one of our dinner entrees like Gluten-free Lasagna. See our food menu for all of our delicious dining choices. To keep you entertained during dinner, the Pachamama also showcases artists and performances weekly. Two-time Latin Grammy Nominee, Bolivian composer, and Charango virtuoso Eddy Navia and Sukay founder Quentin Navia can be seen almost every Saturday with the Pachamama Band. 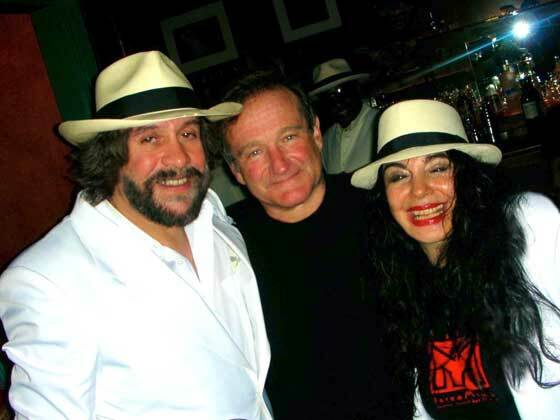 They keep the rest of the calendar packed with fantastic artists and sounds from all over the world, including Bolivia, Cuba, Spain, Hawaii, Argentina, and styles like Spanish Flamenco, Cuban Salsa, Mexican Son, and Brazilian Samba. The Pachamama restaurant features the original speakeasy, with a fireplace and view of Coit Tower. The upstairs room (and downstairs!) can be used for meetings and parties- we handle the food, music, dancing- you just bring the guests. We can also bring the party to you; for more information contact us, or see our booking website. The Peña Pachamama is a magical oasis of organic non-GMO plant-based food, as well as great music, dance and performance.